This is my favorite thing to make. 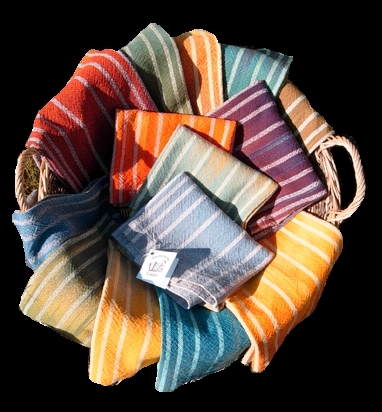 These are 100% cotton towels with stripes set up using the Fibonacci number sequence. The colors are handwoven warp stripes with commercially dyed solid colored weft yarn. They measure approximately 18″ x 23″. They are very thirsty towels.